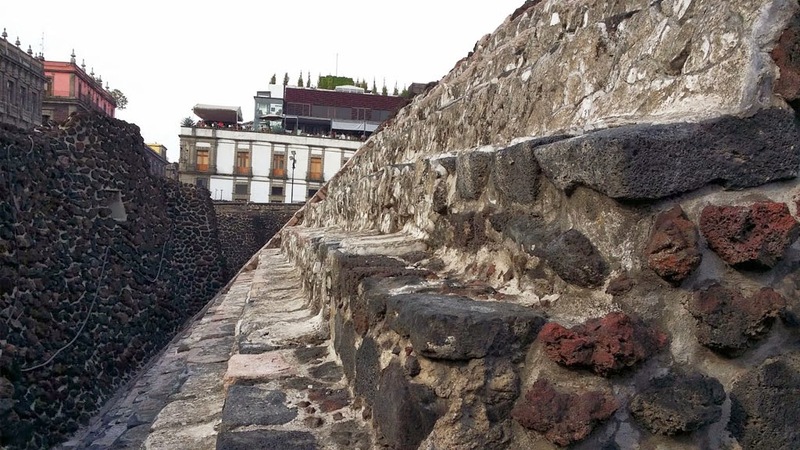 One of the first archaeological site that I visited as soon as I landed and got settled in my hostel in Mexico City was the ruins of the great pyramid of Templo Mayor. 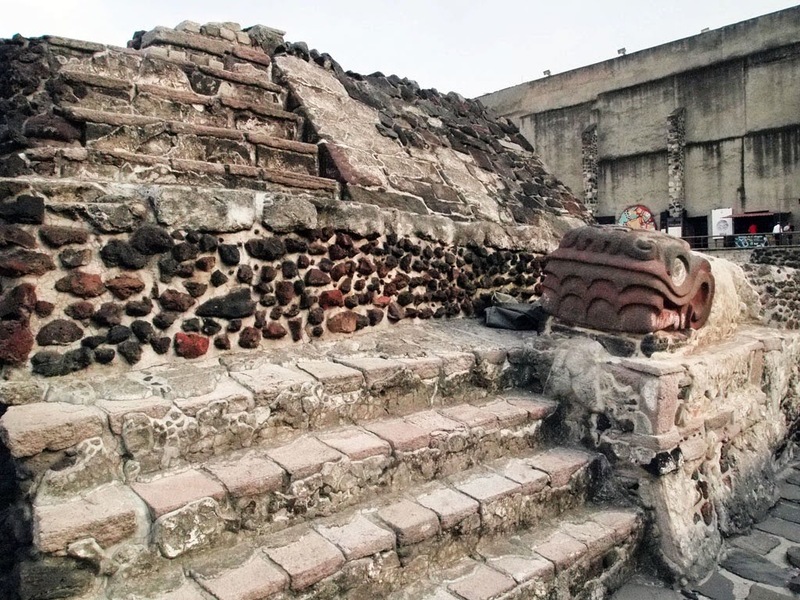 It was the main temple of Tenochtitlan, the capital of the Aztec empire. The capital itself - located right near the main plaza of modern-day Mexico City - was built on a small island on a lake, which had long dried up. The temple has two shrines on the top platform dedicated to two main gods, Huitzilopochtli, the god of war and the sun, and Tlaloc, the god of the rain, water and fertility. In the cosmology of the Aztec people, the universe is consisted of three planes, the middle one being inhabited by humans. 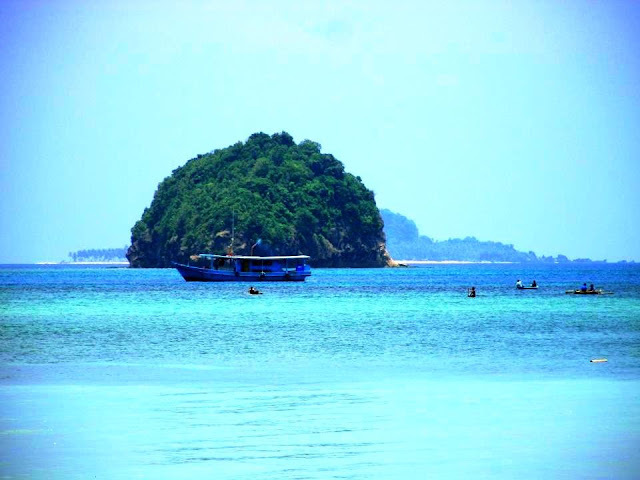 Above it are the thirteen levels of heaven, and below, the nine levels of the underworld. 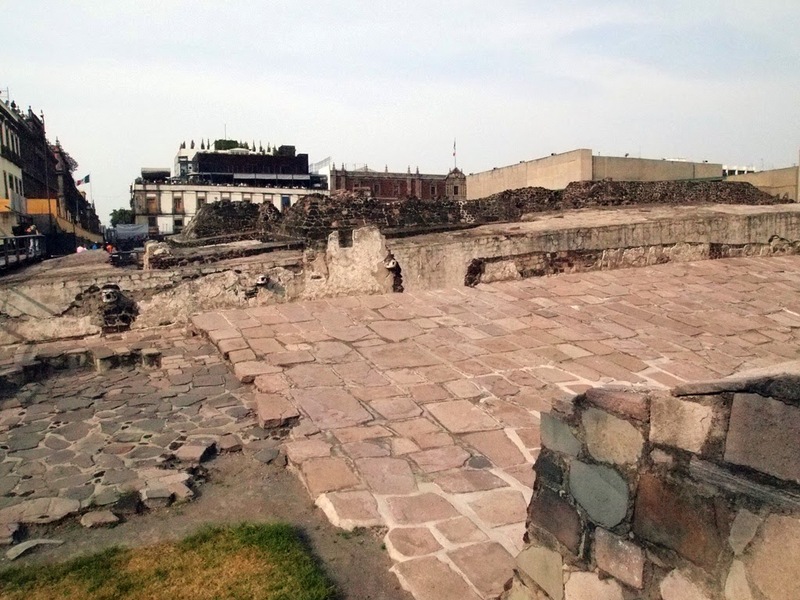 Templo Mayor was built on the site that intersects the three planes, which means I was literally, as the Aztecs sees it, at the center of the universe when I visited it. It actually took me a while to find the center of the universe. From my hostel I originally only intended to go to the Metropolitan Cathedral and maybe explore the plaza around it, as I thought that the site was already closed. From the church I dropped by the Museum of Culture, before I heard that the Templo Mayor is still open. Weaving through the cobble-stoned streets amid the throng of shoppers and hawkers - it was Sunday afternoon and apparently it's market day in the city - I finally located the entrance to the site. I paid the entrance fee, as I was a foreigner, and entered the ruins. 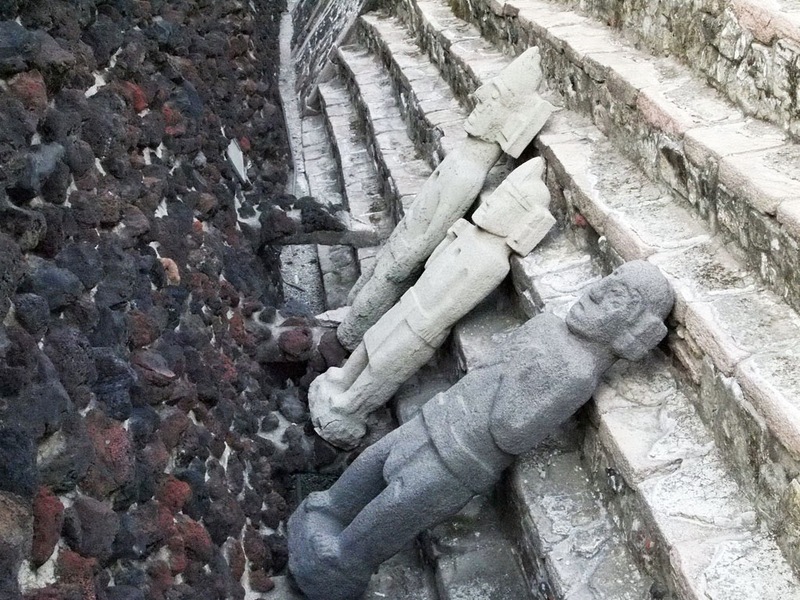 Templo Mayor was actually lost for centuries. When the Spaniard Hernan Cortez defeated the Aztecs he ordered that the temple be dismantled, and had structures built over the site. The stones from the temple were used to build the cathedral, located beside the site. The top photo shows the scale model of the complex. 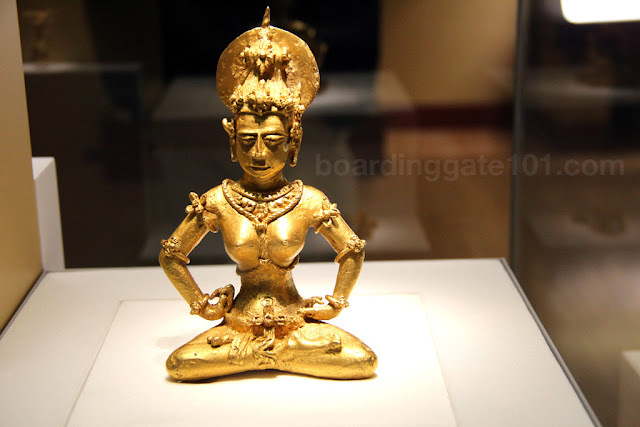 Little by little, parts of the temple were found in the 19th and early 20th century, and the excavations began. There were actually seven temples on the site, one built on top of another. The temples were built every 52 years, to coincide with the full cycle of the Aztec calendar. The first one was built in 1325, and the last one to be built was the one destroyed by Cortez after the downfall of Aztec emperor Moctezuma II. I went around the complex, trying to imagine the size of the pyramids and the rest of the complex, which include among others, the palace of Moctezuma II, a ball court where the Aztecs play a ballgame where the winner is killed and sacrificed to the gods, and the market places, where the Aztecs (also known as the Mexica) traded among themselves and with other people. The pyramid was almost leveled now, with some of the structures being uncovered by excavation, but one can still marvel over the sophistication of its construction. Several statues and carvings are still visible in some parts of the complex, enduring the test of time and the ravages of war. 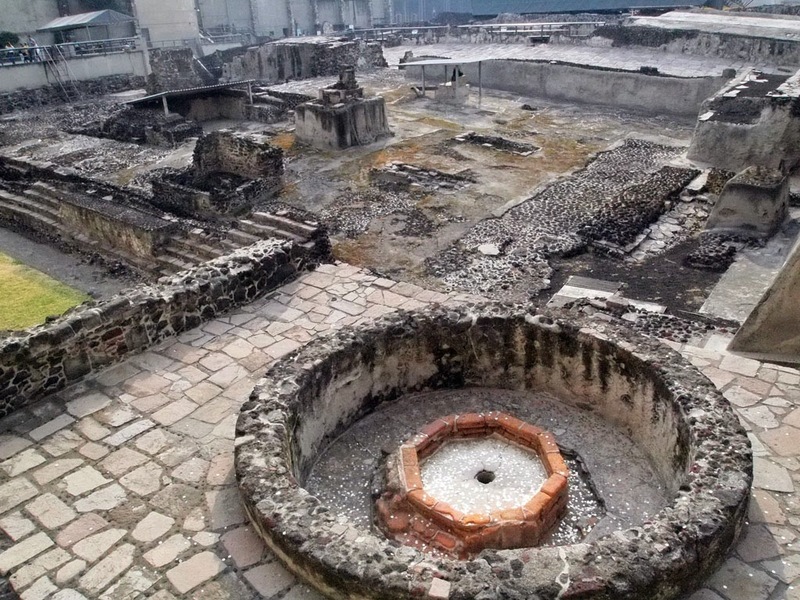 Most of the artifacts recovered during the excavations were housed in the museum build nearby, the Museo del Templo Mayor, which I visited next after I surveyed the complex. I will have a separate post for the museum itself. 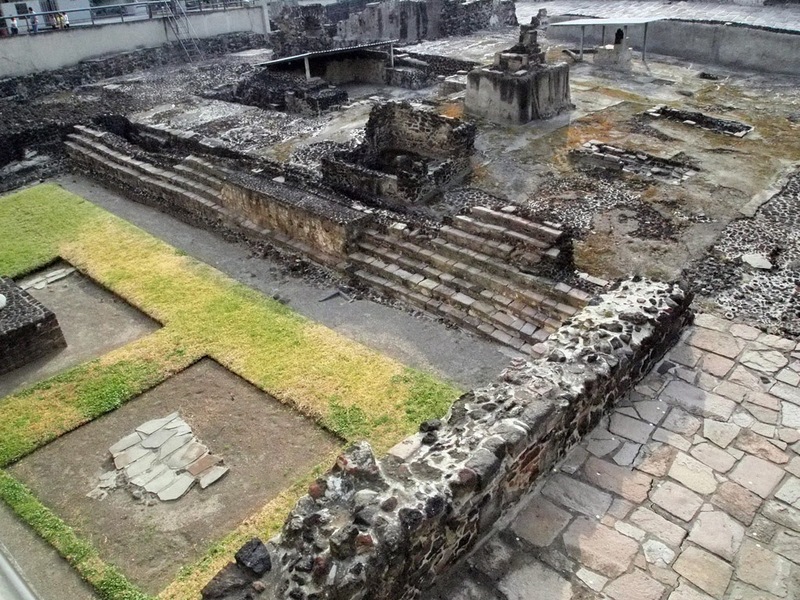 The Templo Mayor complex is located in the Centro Historico of Mexico City, just behind the Metropolitan Cathedral, which is along the Zocalo district. It is accessible by the Line 2 subway, served by the Zocalo Station. The pyramid complex and the museum is open everyday except Mondays, from 9 am to 6 pm. 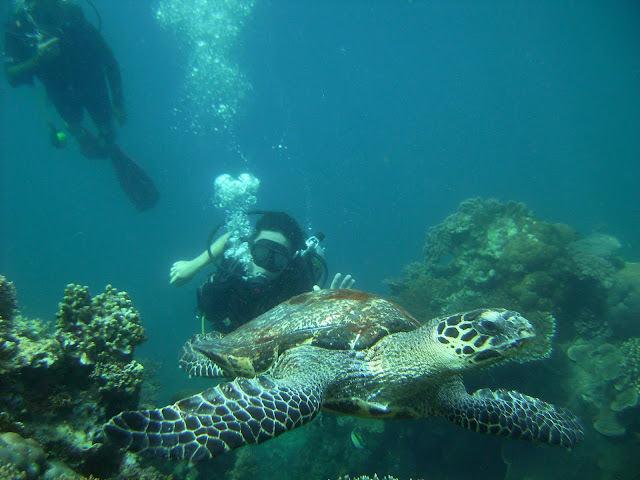 The fee is 57 pesos, and includes entrance to the complex and to the museum. 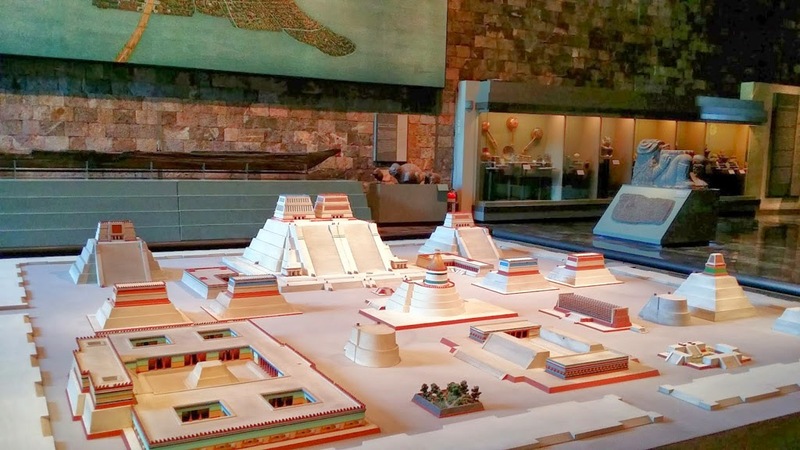 The scale model on top is displayed in another museum, the Museo Nacional de Antropologia, also in Mexico City. There is also a scale model of Tenochtitlan being displayed in the subway station in Zocalo. Templo Mayor is the first UNESCO World Heritage site that I visited since I went to Ayutthaya in Thailand.